If there’s one thing that we can confirm, it’s the fact that zombies won’t stand a chance against humans if the zombie apocalypse were to ever happen given all the experience we all have gathered through gaming alone. The number of zombie games released on any platform each year seems to surpass all other genres and still the game devs are not able to satisfy our inner desire to blow up some zombies. It’s a win-win situation anyway (except for the zombies) as we are able to treat ourselves with leading titles every year and also prepare ourselves for the inevitable. 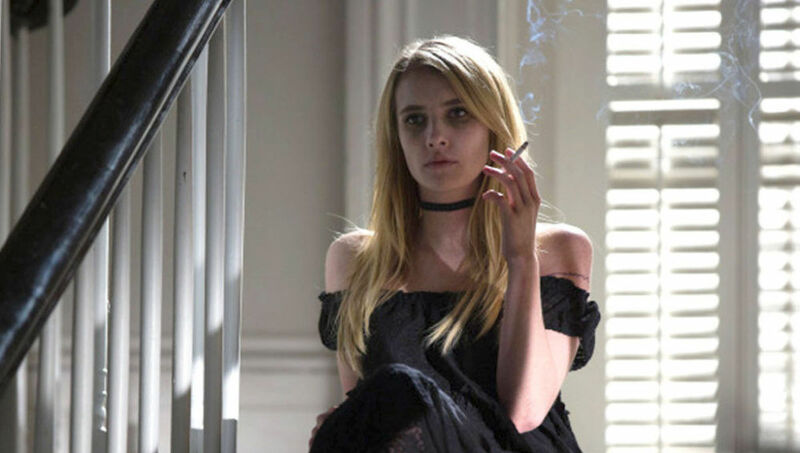 However, how many times can you recall in the recent past when you were playing a survival horror late night and you just wished there was someone by your side? Well that’s exactly what we were wondering and hence we thought of presenting a compilation of games that are based on zombies in a multiplayer setting. You can play these top multiplayer games on Xbox One, PS4, Xbox 360, PC, iPhone, Andriod or even online. Contagion is a survival horror video game developed by Monochrome LLC and published by Monochrome Inc where players are tasked with surviving from zombies in an open game world. 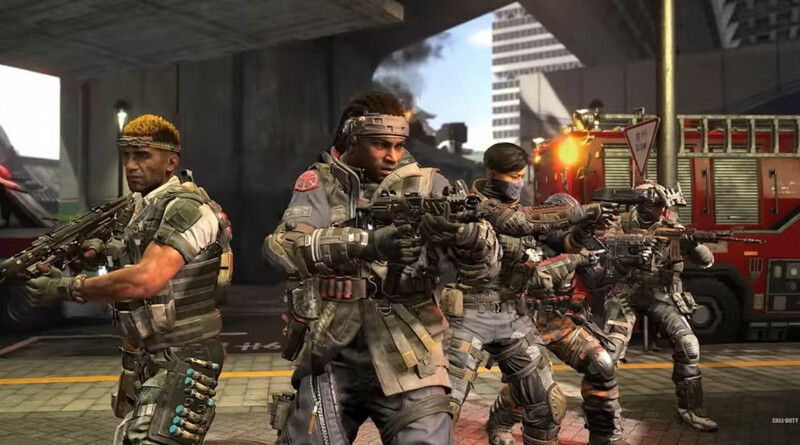 The game is multiplayer only and depending on the mode, it requires coordination between various players in order to complete a session successfully. Contagion presently has 3 playable game modes with a fourth one in development and trial phase all based around multiplayer gameplay. Hunted is a game mode very similar to battle royale where 16 players fight against each other to the death in a battleground infested with zombies. The last to survive wins the round and the ones who die are resurrected as zombies and hunt down those who are alive. 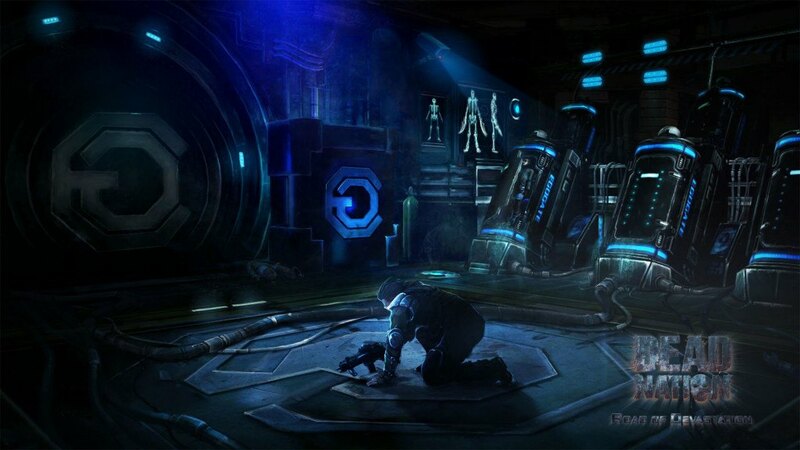 Escape is a co-op gameplay mode where teams of 8 players attempt to escape from the area by completing various quests and objectives while in Extraction, players search an area for a AI survivors and help them escape. The game was released in the year 2014 after a successful kickstarter campaign to overall positive reviews. 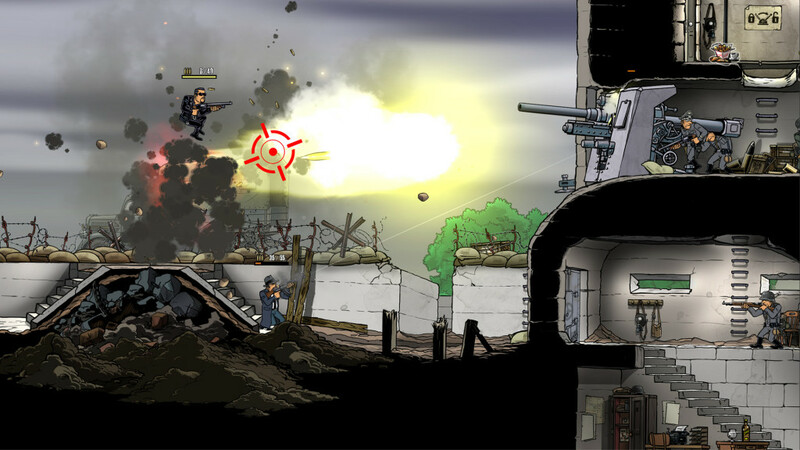 Nazi Zombie Army Trilogy is a spin-off to the massively popular Sniper Elite series, a game that has been praised for its stealth and shooting mechanics. This spin off game also borrows the same mechanics from its predecessors but sets the gameplay in a more linear design. The game encourages the player to adopt a stealthy approach to the gameplay and rewarding the player with achievements if they manage to remain undetected throughout a scenario. However, in this particular game we have noticed that the game does not punish the player as much as before for taking a more ‘direct’ approach to things making the gameplay much more forgiving once detected. While in stealth and taking long range shots, you still have to dial in the wind direction and ‘fall’ of the bullet just like the Sniper v2 series and you have the option of holding your breath in order to steady your shot. This is also the first game in the series where the campaign has been optimized for co-op gameplay of up to 4 players and needless to say, it is quite a lot of fun taking out four enemies at once by synchronizing your shots. In How to Survive, you find yourself trapped in a zombie infested island along with your trusted friend after a shipwreck and now you must survive and escape the island together. There are two modes in the game – story and challenge, and both of them are optimized for co-op two-player gameplay. In challenge mode, you and your partner are left stranded on one part of the island and must get to the other end of the map in order to escape from the island. It is not a timed challenge and therefore you can take all the time you need to gather and craft materials for your survival. The game is presented in a top down view and though a sequel has been planned where a third person mode will be available, no definitive news has been released till date. You probably already know about the zombies mode in Call of Duty: Black Ops 4 but still we wanted to highlight the game in our list, just in case you woke up from hibernation recently. This installment has been receiving a lot of flak online for its lack of a proper single-player campaign but the multiplayer mode of the game is where the game shines. We probably have said this already before but the zombie mode in Call of Duty: Black Ops 4 is extremely fun to play in a co-op setting and has also introduced a new game mode called Rush, where players compete for the highest points using score multipliers. Loadout choices and perk selection are important attributes in the game and will reflect your playstyle heavily. The game is one of the best if you just want to shoot down zombies with your friends mindlessly but also features a zombie campaign mode if you are tired of competing. The game has a pretty good all round experience and perhaps you’d like to check this one out if you are looking for zombie FPS shooters. It seems like these scientists and researchers need to take better care of their projects as more often than not, we find ourselves fighting with zombies because of some virus that escaped from their lab. Now the whole world must suffer because of their mishap and poor gamers all over the world are stuck in an endless, albeit fun loop of escaping from zombies. 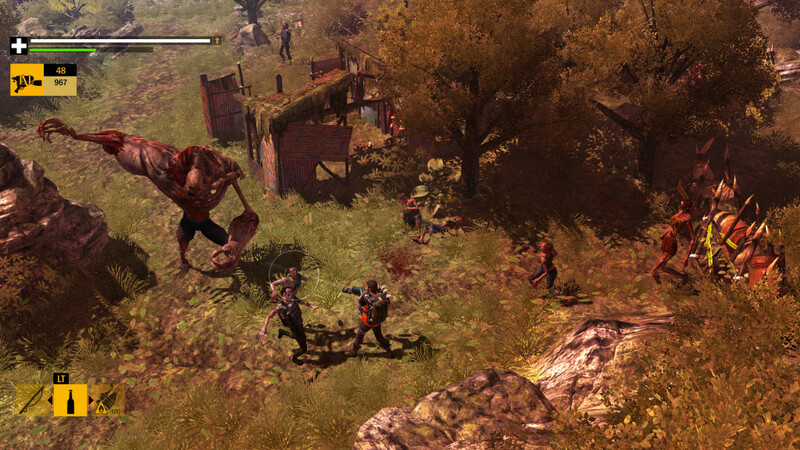 Dead Nation is another take on the survival horror genre where players must make their way through a city while fighting zombies from a top-down view. Players need to manage their resources and equipments while shooting these mindless creatures down in order to score multipliers and cash. Cash can be used to buy better upgrades for your character and multipliers help you gather more points but disappear once you get hit. The aim of the game is to survive and score the maximum amount of points. Killing Floor 2 takes place in an alternate universe where a bio tech firm has leaked various military clones upon the residents of Europe due to sabotage and now the whole of the world is at risk. 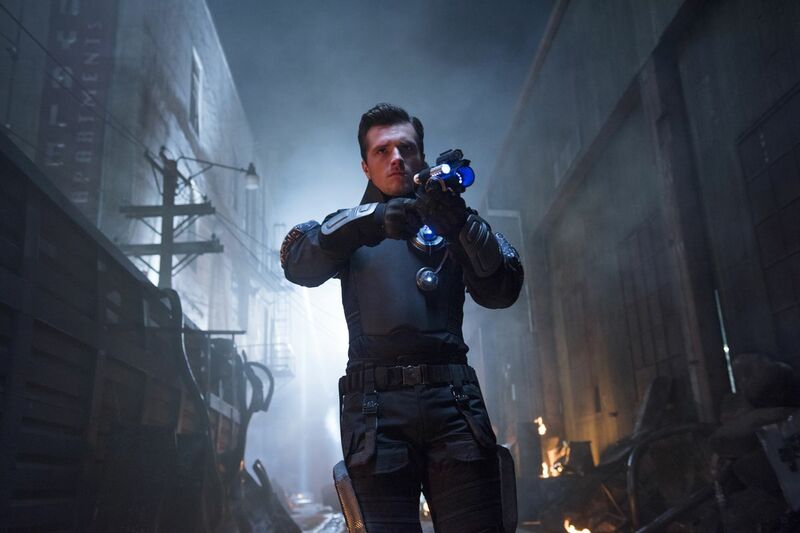 You are tasked with defending the planet and you must do everything in your ability in order to take these mechs down. Gameplay takes place in the form of stages and players need to take out every last one of the enemies in a wave in order to trigger the next one. Enemies also become increasingly powerful as the game progresses and boss fights too become more hectic. 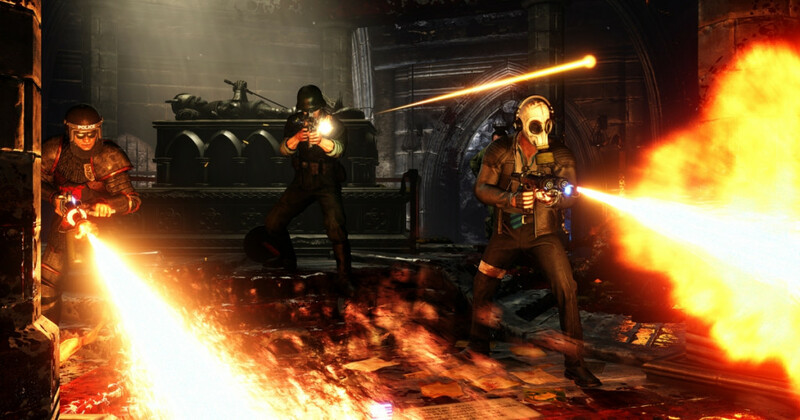 Killing Floor 2 requires a fair bit of coordination between the players all the while competing for loot and resources. 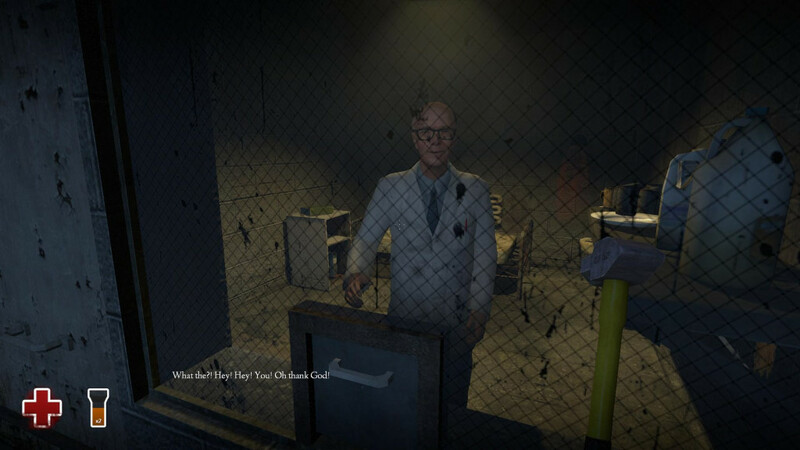 The game was developed by Tripwire Interactive and published by the same company in the year 2016. Guns, Gore and Cannoli 2 is a fun little platformer where you control the character of Vinni Cannoli and help him in his agenda for peace while blowing up hordes of enemies to bits. The story picks up from where the original Guns, Gore and Cannoli left off, allowing the player to continue the story and unleash mayhem on scores of enemies all the while screaming out brilliant one liners. The game has a co-op multiplayer mode where you can team up with up to 3 other people to take on all that this game has to offer and we all know that four people can dish out four times the mayhem than a single Vinni Cannoli ever could. 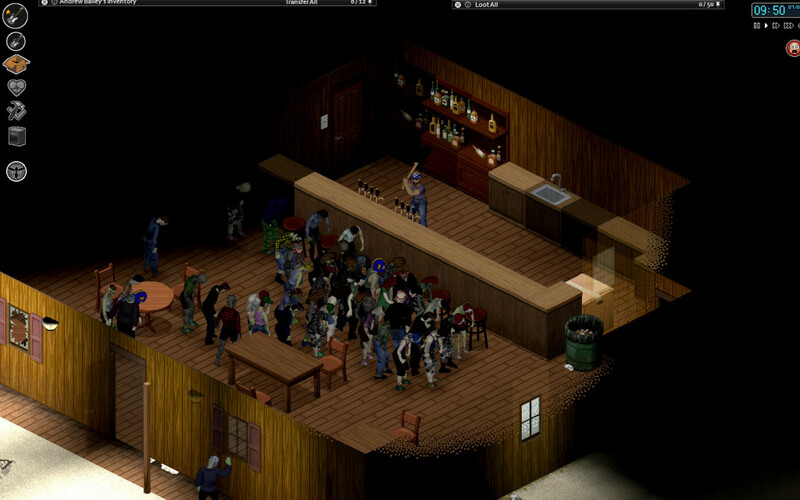 Survival and zombies have always gone hand in hand and Project Zomboid takes the best of both worlds and moulds them into one single experience. 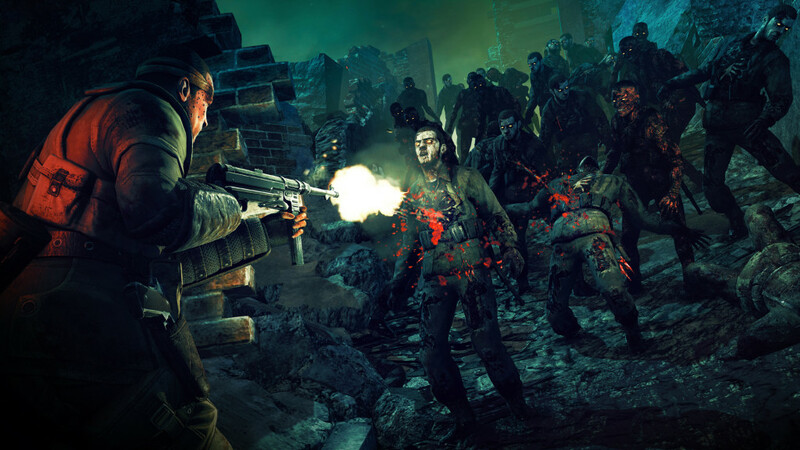 The game is presented in a top down view and you are tasked with surviving massive waves of zombies either in a single player setting or in a co-op mode. You have the option to scavenge for materials in order to build and craft equipments that are essential for your survival. At times, you can really feel overwhelmed by this game, so we always recommend bringing a friend. The game was developed and published by The Indie Stone game development company in the year 2013. Plants vs. Zombies is a game series that appeals to young and adults alike and has found massive popularity in the mobile gaming industry almost having attained pop culture status. 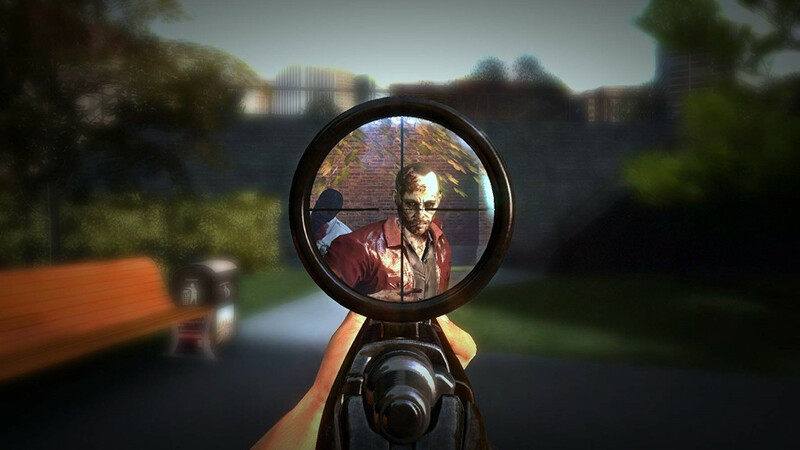 The game features bright colored graphics and large distinct art style that is extremely pleasing to look at and not exactly what you would be expecting from a zombie game. 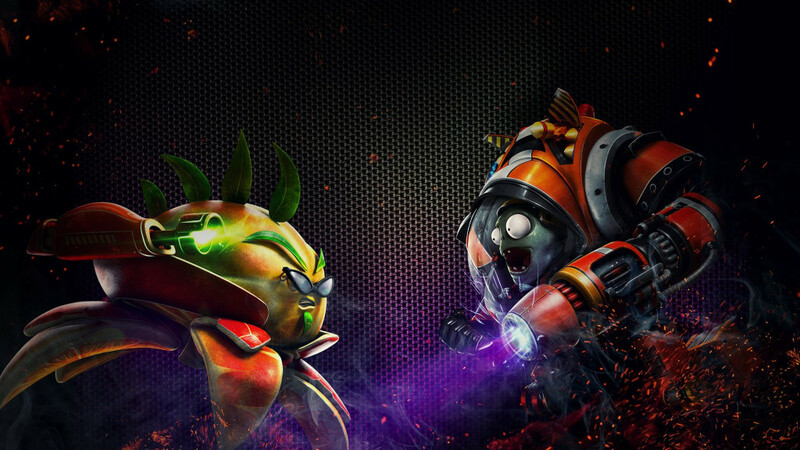 While the original series is a top down tower defense style game, Garden Warfare 2 is a third person shooter that allows players to either play as plants or as zombies in a competitive setting. Garden Warfare 2 was developed by PopCap Games and published by Electronic Arts in the year 2016 for the Windows PC, Xbox One and PS4 systems. Resident Evil is one of the better known horror experiences out there and hence we wanted to take the time and highlight an episodic release for the series in the form of Resident Evil: Revelations 2. The game is a direct sequel to Resident Evil: Revelations and is set between the events of Resident Evil 5 and Resident Evil 6. 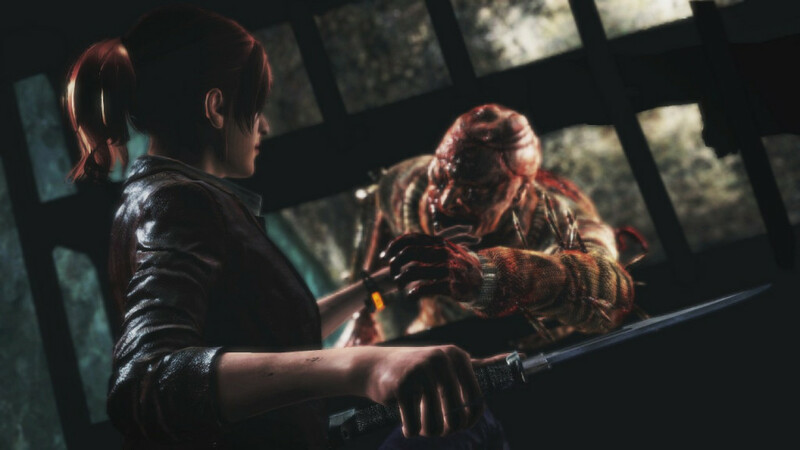 It has a campaign that can be played in a co-op setting on consoles and tells the story of Claire Redfield, one of the protagonists of the story. The game relies heavily on stealth mechanics and two of the protagonists of the story are unable to wield guns, making escape your only choice! We don’t want to say much on this title as suspense plays an important role in the story of the game. You are a lonely fisherman and a violent storm has driven your boat to a mysterious island and it’s up to you to survive and escape the island. However, all does not seem as it is and as you go probing deeper into the island, you are faced with a terrible revelation. The game was developed and published by Alan Edwardes in the 2014 and has been highly praised for its attention to detail and environmental design. 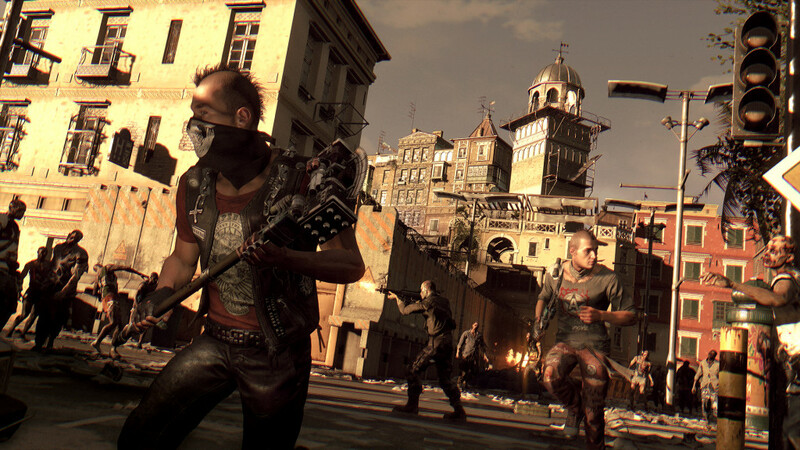 Dying Light is a first-person zombie survival game developed by Techland and published by Warner Brothers in the year 2015 for the Windows PC, Xbox One, PS4, Linux and the OS X systems. The game has received major critical acclaim upon release with critics praising the game of its smooth gameplay and parkour mechanics. The game allows you to traverse a large metropolis full of high rise buildings while freerunning or jumping from the top of one building to another. Whether you are playing the campaign in a single player setting or in co-op you are bound to have tons of fun with this one. Left 4 Dead 2 is really a game that should be experienced along with a friend as the whole campaign just begs to be played in co-op mode. This co-op gameplay setting is what made us put this game at number 1 on our list, otherwise there are many other zombie games out there that provide an immersive single player experience. 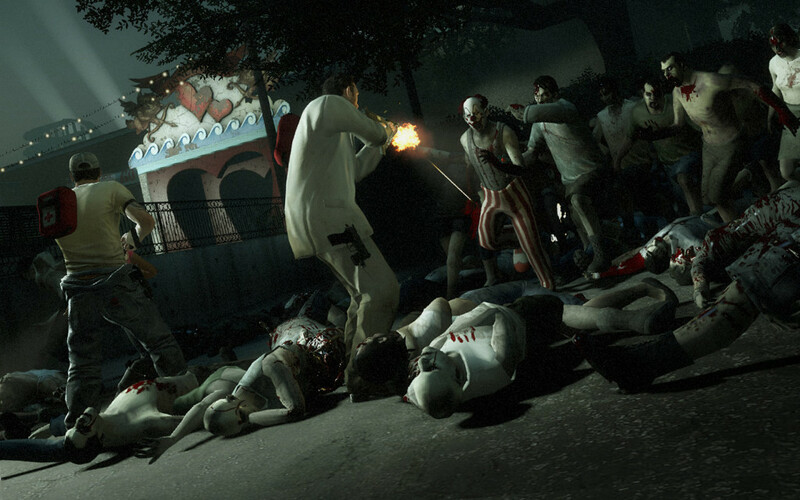 But if you are looking for a game that’s strictly co-op, Left 4 Dead 2 is the game for you.